Beginning with a high-energy group routine set to the tune of “The Greatest Showman,” Buckeye Twirl, Ohio State’s baton twirling team, dazzled the crowd as members of the 13-person team danced, pirouetted and flipped batons through the air during their Spring Showcase. The showcase continued with duets, trios and a solo from Andrew Ochman, a second-year in biochemistry and the only male member of the group. Buckeye Twirl also performed routines split up by class year to highlight each level’s individual talents, Amber Rice, president of the club and a third-year in psychology, said. “This year’s theme was ‘Rolling with Buckeye Twirl,’ so we were kind of going for a road trip, travel type of vibe,” Amanda Micklo, treasurer of the club and a third-year in health sciences, said. Buckeye Twirl is split into three teams — beginner skills, club and competition — based on experience and skill level. Students with no baton-twirling experience can join the beginner skills team, while seasoned twirlers can join the competition team. The club team, which is the largest of the three, is made up of students who have prior experience but is a smaller time commitment than the competition team, Micklo said. 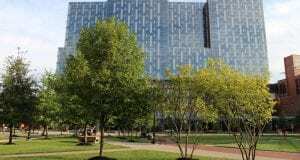 However, Rice said no experience is necessary to join and that the team values a positive attitude more than having years of experience. 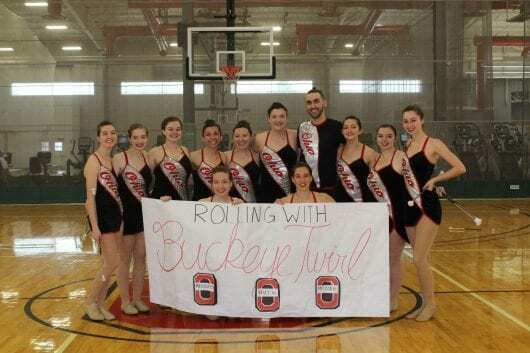 Micklo said Buckeye Twirl’s tryouts are in August, but that shouldn’t discourage potential new members from reaching out and asking about getting involved with the team at any time throughout the year. Though they perform at numerous events throughout the year, including BuckeyeThon’s CarnOval, which took place April 11, Rice said the Spring Showcase was a culmination of the team’s hard work and growth throughout the year.